First Lady Aisha Buhari has expressed her plan to establish a private university to be known as "Muhammadu Buhari University". The changes are widely expected to pass. The accomplished filmmaker died while filming in Jos, Plateau State, on Good Friday. Every year on Good Friday, Catholic communities around the world perform the story behind the crucifixion of Jesus as a reminder of Christ's sacrifice. There will also be reading of poems authored by Pius Adesanmi to honour the late Nigerian scholar. Khadim N'Diaye suffers a horrible leg break against Casablanca! 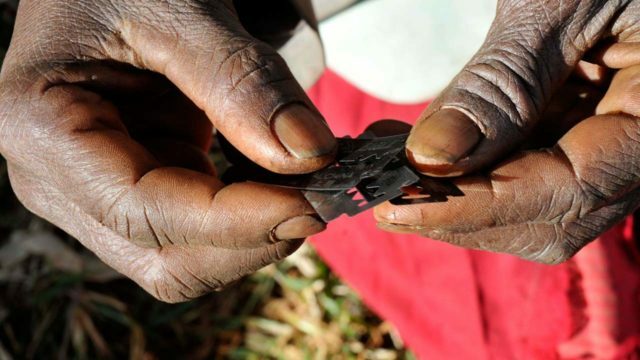 Over eight communities in Imo State rose from a day Dialogue on Violence Against Girl Child organised by the Development Dynamics (DD), yesterday, resolving to end female genital mutilation in their various communities. Presenting their resolutions, head of the communities, Chief Ray I. Okonkwo, Palace Secretary in Amaifeike community; Emmanuel Ahajemba, a community leader in Okwuabala-Ihioma; Chief Shedrack Anunihu, a Councilor and Chief Whip of Orlu Legislative Council and Chief Godwin Obinero commended DD Programme Director, Dr. Jude Ohanele, for midwifing the process that led to the resolution, pledging they would ensure no parent mutilate their female children again. They said any defaulting parent would be punished according to Imo 2017 Law no. 6. Addressing the communities’ representatives, Ohanele decried the situation, listing the short, medium and long-term consequences of FGM. The Court Of Appeal on Tuesday said the number of petitions challenging various results of the 2019 general elections has risen to 766. The 2019 budget will be passed on Tuesday, April 30, Senate President, Bukola Saraki has announced. The House of Representatives on Wednesday abruptly ended its sitting after the presiding officer announced that protesting Shiites had crashed into a gate of the National Assembly. Possession of guns by private individuals is illegal in China.